Take a look at the top 5 recipes of this week. From a crisp chatpata pakoda to freshly baked rich Indian breads – take your pick.Jaljeera – The hot summers call for a cooling drink and jajeera fits the bill perfectly. This refreshing drink is also a great digestive and gets made with very simple ingredients at home. Here is how. Taftan – A taftan is a soft fluffy and light read made with refined flour, milk, sugar, yeast and ghee. Fermented dough is rolled into oval shapes sprinkled with onion seeds, basted with ghee and baked to perfection. Must try!Sheermal – Baking bread can be such a joyous activity. 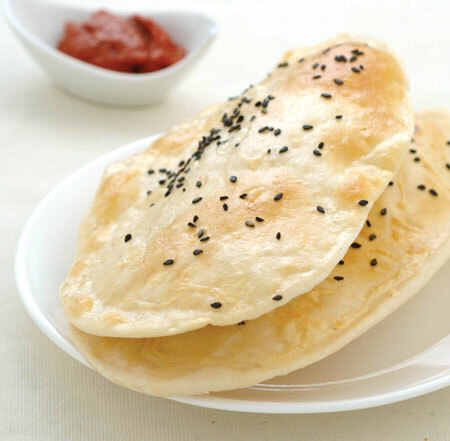 Take a look at the video recipe for a deliciously addictive sheermal – one of the 21 Indian breads you must definitely making. Ram Laddoo – A Ram laddoo is not the sweet variety of laddoos we are used to eating. It is infact a delicious savoury snack – more like crisp moong and chana sal pakodis. Served with a spicy green chutney, it is perfect for the current weather! Kesar Pista Kulfi – Emerald green pistachios and flavour of saffron and creamy rabdi make this basic recipe a consistent hit amongst kulfi lovers. Khoya or mawa adds a certain intensity and richness to this delicious kulfi. A must try when the heat gets the better of you.